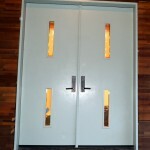 Sing panels make standard doors! 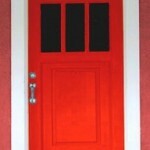 Click on photos (above) to view standard door gallery! Sing standard doors are available in nearly any flat surface material to meet or exceed your architectural specifications including our patented non-warping wood butcher block that could be used for almost anything. See: Butcher Block for ideas. 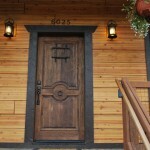 Many educated homeowners demand that their trade professionals (architects, millworks, contractors, etc.) 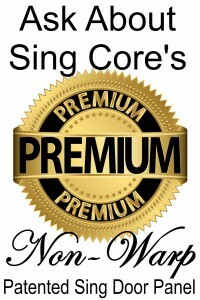 use Sing Core products in their home projects. 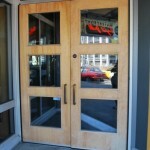 Labor is more than half of the cost of door manufacturing. 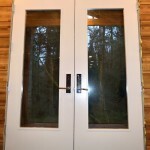 More production with less workforce means you are even able to bid on large door projects and still meet delivery deadlines. 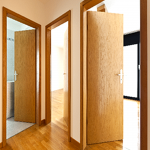 Besides being the only Eco-friendly, lightweight, high-strength, guaranteed true flat door manufacturer, Sing Core stands behind you to increase your productivity by doubling or tripling your door production capacity without your having to add more people or machines. For example, Sing Core filled a job requiring 700 doors delivered in 10 days so our client could win the bid and guarantee on-time delivery. 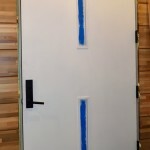 Sing Panels are changing the way doors are made! Sing panels can be used to make any type, style or appearance with any shape, size or number of window lite-opening CNC cut-outs which offsets the high labor cost of traditional stile and rail doors. 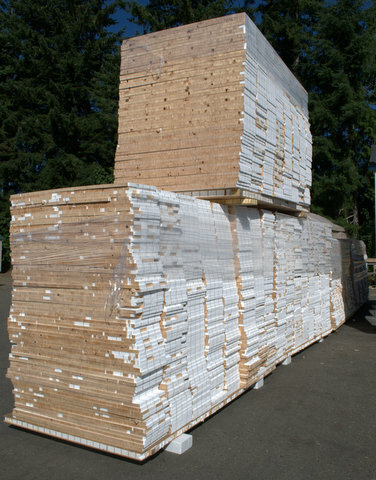 Patented Sing Core is about 15% the weight of particleboard, pound-for-pound stronger than steel, and costs less than particleboard in your factor-in shipping costs. So, say, “Goodbye!” to particleboard, paper door core and wood-based substrates used as door core, and say, “Hello!” to lightweight, high strength doors that are fully insulated, sound deadening, will not warp, bend or twist and have minimal deflection under the load. 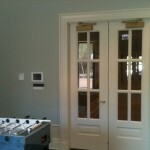 Our new technology for manufacturing doors with glass is now used by major high end millwork professionals and leading-edge door manufacturers. It starts with a patented Sing core flush panel. 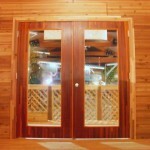 Then, window openings are cut in any shape or size without compromising the strength of the door. Our technology gives the door designer the ability to create any style, in any size and with any number of window openings in a lightweight door, while retaining many times the strength of a conventional stile and rail door. 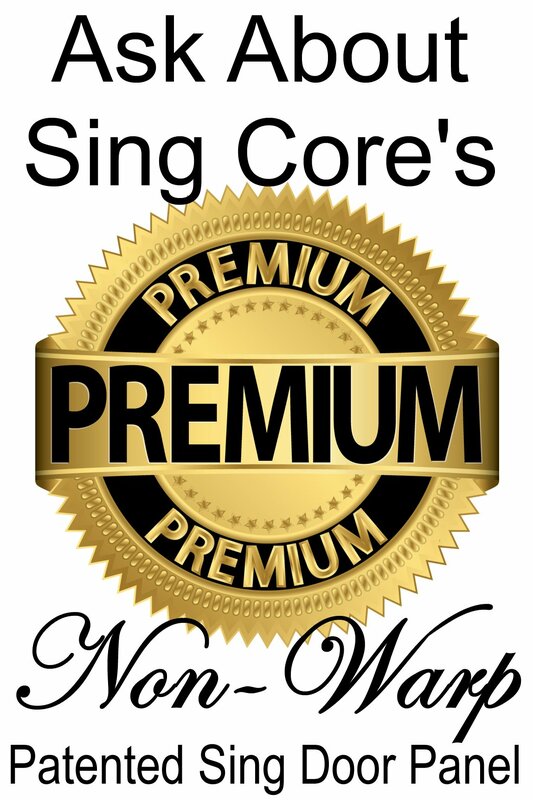 The secret is in the strength of our patented Sing core that is 4 to 5 times the strength of the standard aluminum honeycomb core. 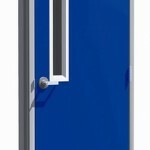 The superior compression strength (600 PSI or more) and built-in insulation makes the Sing Panel the most high-performance door available. 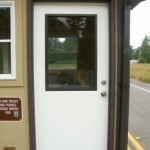 Our patented core is 20-to-60 times stronger than the foam core found inside standard foam-core doors. 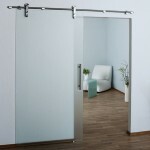 A standard (non-Sing) foam-core door is not strong enough to cut and support glass installation without major reinforcement; whereas doors with glass made from lightweight Sing panels need no further reinforcement. 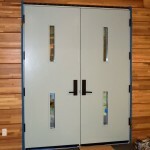 Our patented, lightweight Sing panels also provide the possibility of adding more trim and molding, and/or of being fire proof, bullet proof, sound deadening, etc., to build specialty doors with a designer look. 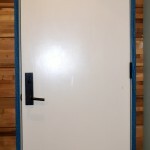 The cost of the material can be less than the shipping cost of LVL core, solid wood core or plywood core; can require less labor to build a stronger, true flat door; and, costs less to ship. See our pricing page to obtain a free quote. 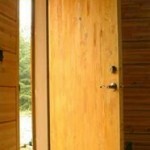 Large door manufacturers may be eligible for our licensing agreement. 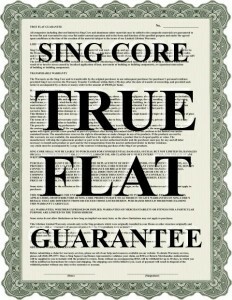 Made in the USA can be affordable by using patented Sing core technology. Contact us for more information. 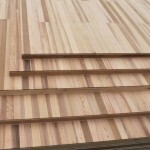 To order Sing panels, please see our pricing page. With enough information, we can give you a quote within 24 hours. Sing Core works with the most sophisticated millworks and door manufacturers to help them build true flat doors that stay flat for decades to come.